"A woman's beauty lies in her wholehearted smile." This simple statement is something that I have always believed in. A charming smile is the best accessory one can ever ask for. It can lift up a dull day or even a boring outfit. You have got the best baubles to spruce up your apparel, the most expensive make-up items to look good, but what about your pearlie whites? If you are among those who thinks the daily routine of brush-floss and mouthwash is not enough, maybe the newly opened Smile Bar can be of some help. 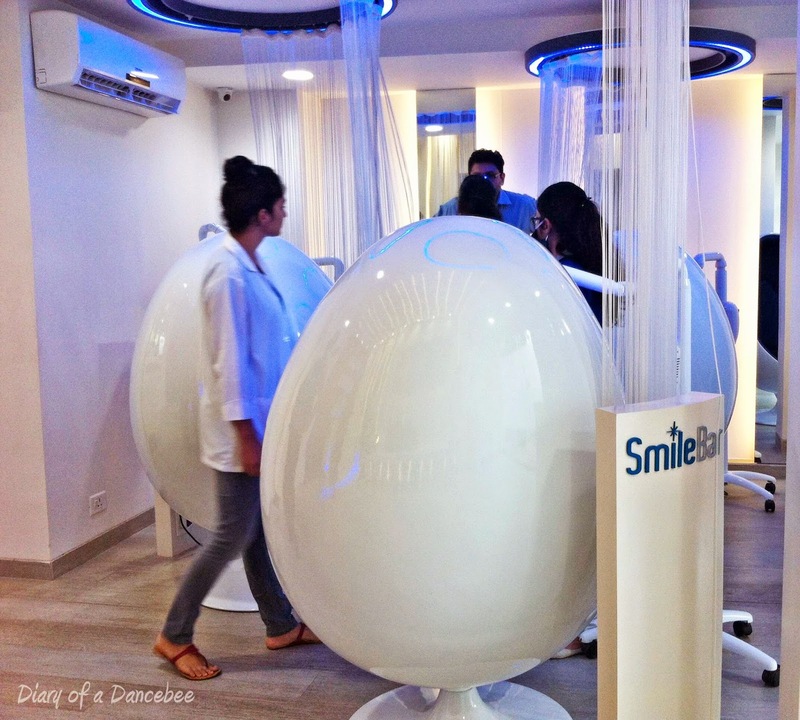 We were invited to try a session at the first outlet of Smile Labs Cosmetic Pvt. 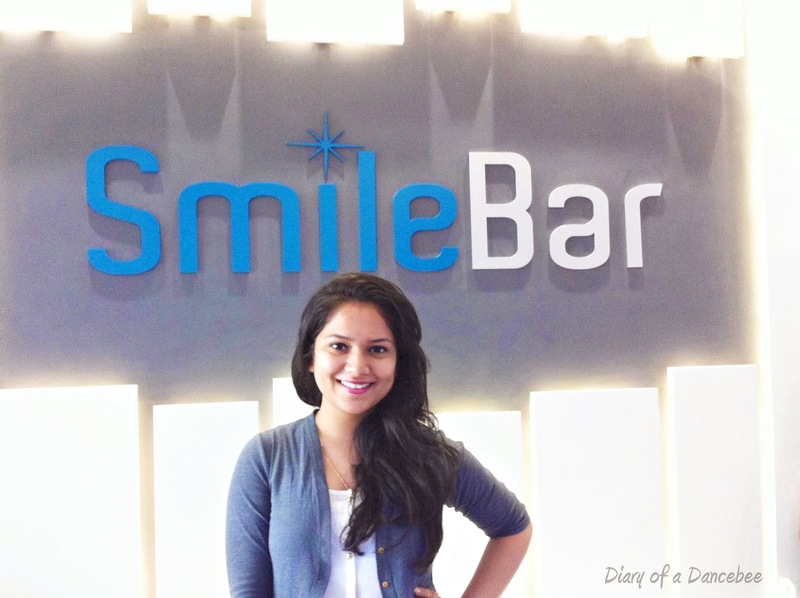 Ltd. in Mumbai, named Smile Bar, which opened in March this year. Read ahead to find out more about our experience. What? 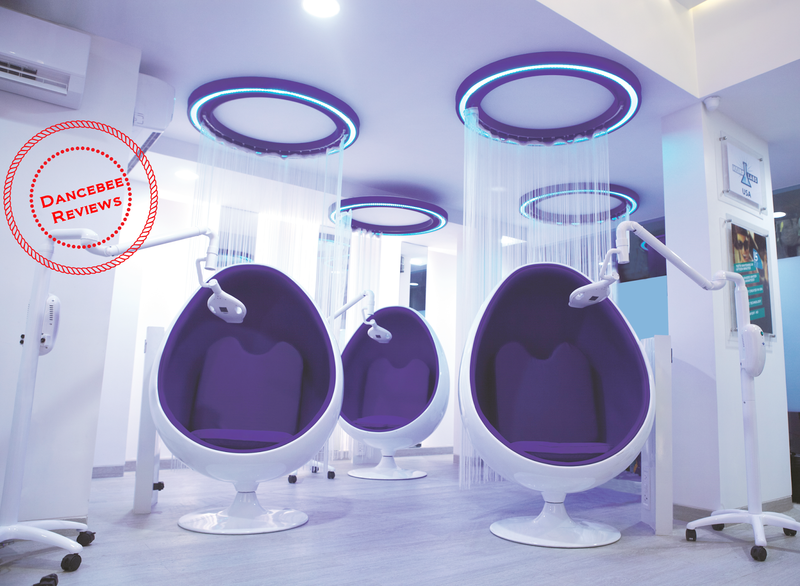 - A one of it's kind, lounge style cosmetic teeth whitening lab, called Smile Bar. What does it promise? - The team of dentists or like they prefer, grooming experts, promise whiter teeth in just 15 minutes. The basic service guarantees up to 8 shades whiter teeth in a single treatment, with a sensitivity free technology, which according to them, is absolutely enamel safe. they have got it all. The procedure: When I walked in, I was first introduced to the entire treatment with the help of a video, which explained the 15 minute long procedure, step-by-step. Smile Bar uses a special paint-on technique with a cosmetic teeth whitening gel (FDA and Ministry of Health in India approved, according to them) and light technology. 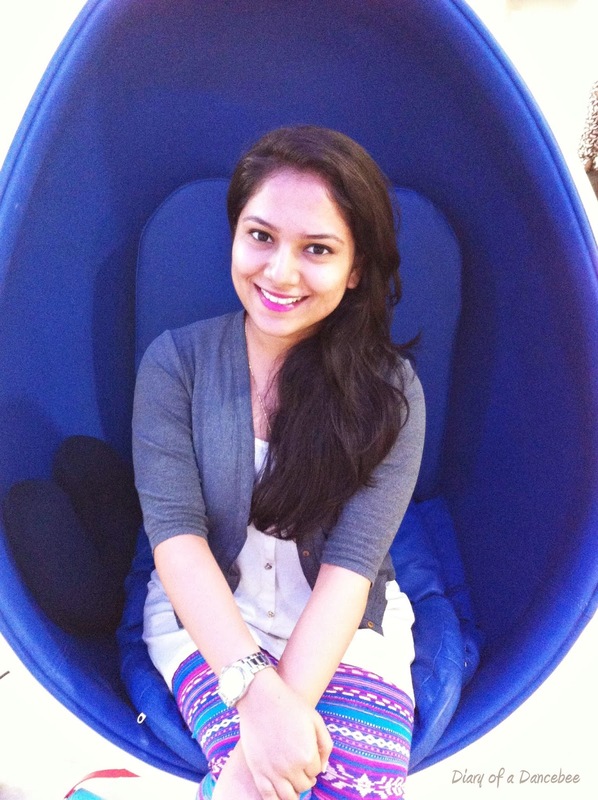 Before going ahead, the current shade of my teeth was checked and a photograph was clicked to match the before and after results. I was then taken to one of the pod chairs reserved for me. After sinking in, I was offered a pair of headphones, before starting off with the 15 minute long procedure, which was completely painless. The treatment kit is made for one time use and is discarded as soon as the procedure comes to an end. The attendants are kind enough to keep a check on you after every two minutes, in order to ensure that you are comfortable. After the procedure, my new shade was compared to the older one, on both the shade card and the photograph. A list of do's and don'ts were provided, which had to be followed for at least a day. My experience: Being someone whose doesn't smoke or drink tea, the normal shade of my teeth was pretty good enough. Although the post treatment shade did go up by 8 times, I personally felt the difference was pretty average. I was told not to expect a stark contrast between the before and after comparison in the first treatment itself. The dentists advised another round of treatment after six months, to ensure the current shade stays, apart from taking regular care. Although not many could notice the difference, it personally felt nice to have a set of extra white pearlies. Verdict: You have to give it to them for the overall experience. But, the price might still be a deterrent for those who are not ready to invest a big amount for a set of white teeth. For those who can, do give Smile Bar a try. It won't disappoint you! Note: If you have any dental issues, please consult your personal dentist and then go ahead with this treatment. Not advised for those with acute sensitivity and other major dental problems. The Dancebee has given an honest review of her personal experience at the clinic and the treatment may vary for each individual.